My sister’s dog had an infection last week that gave her diarrhea for three days. Too much information? Probably. I have a point though, I promise. The other day, while I was in the shower (of course), she proceeded to poop all over my bedroom when I was in no place to see or stop her. I huffed, puffed, shouted, groaned, and stomped my way around the house as I wrangled disinfectant and tried to stamp the more stubborn stains out of the carpet, to no avail. I should probably add at this point that I’m something of a germaphobe, and the prospect of walking over poop stains on my floor until we can get a professional to clean our carpets kind of makes my skin crawl. 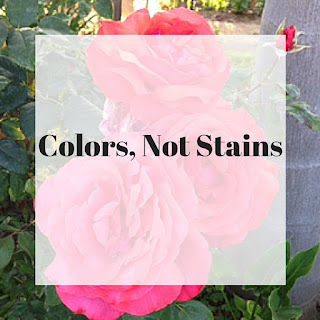 Stains are just colors once you disinfect them. What are some of the things you feel you’re stained with? What are those incidents or mistakes from your past that stick around to haunt you, the negative stories you tell yourself about who you are and what you deserve that stink up your potential, the flaws you wish you could hide? Take a minute to sit with those today. As you consider the things that are staining you and blocking your way to happiness and to the fulfillment of your dreams, realize that they don’t have to define you. Realize that you are more than the stories you tell yourself, that you are beautiful inside and out, and you are loved, oh so loved. Realize that though the past may have lessons to teach you, they’re written in dry-erase marker (which may leave some residue but can easily be written over to learn something new). When you can see the positives gleaned from hardships and are ready move on from them, or you’re able to turn your flaws into beauty marks, you’ve begun the process of disinfecting your soul. 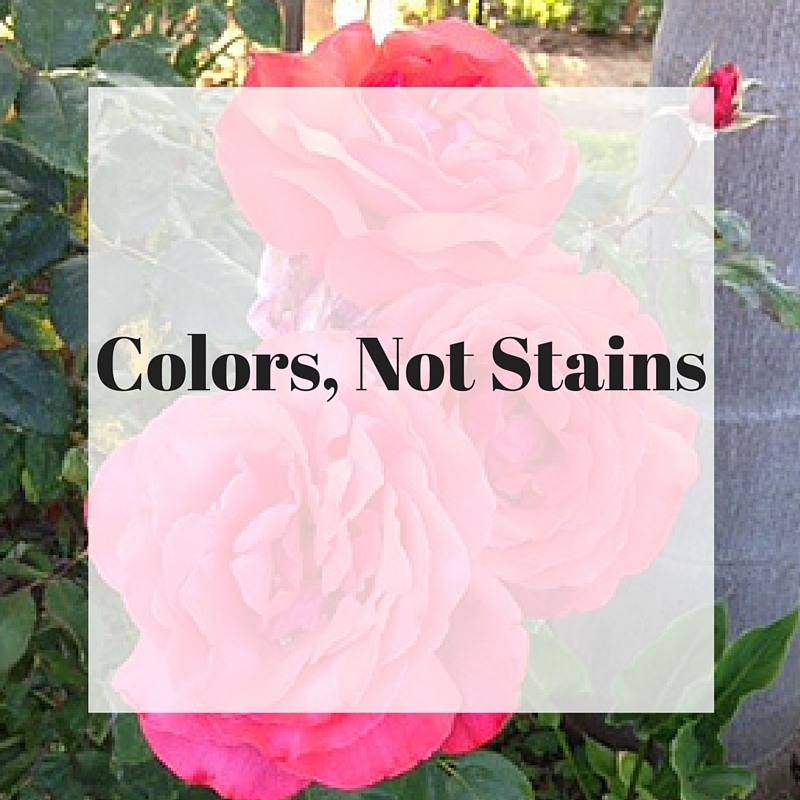 After that… stains are just colors.